It’s no secret that your company career site is one of the most important elements of your recruiting strategy. In fact, it’s a culmination of many initiatives: candidate experience, employer branding, recruitment marketing, diversity and inclusion. Bottom line? If you want to attract, engage and convert more candidates, optimizing your company career site is a must. And in this guide I’m going to show you everything you need to build an awesome career site. 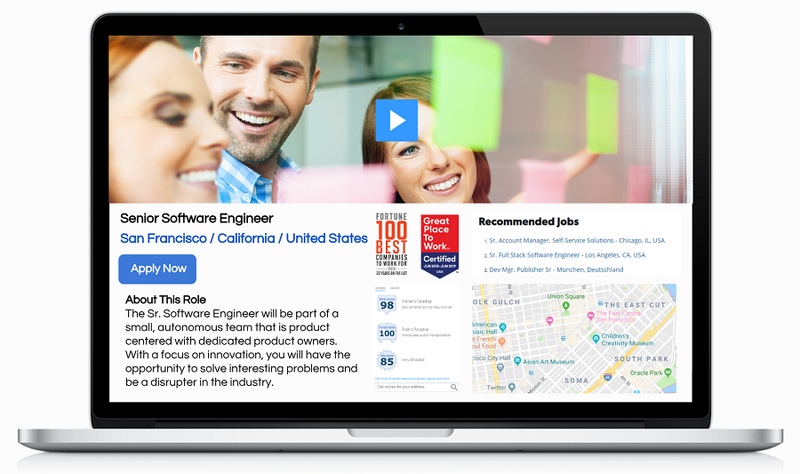 Afterall, wouldn’t you love your career site to be included on lists like The 15 Best Career Pages in 2019 or 14 Examples of the Best Company Career Sites (2018)? To guide you through creating a new career site, I’ve included 7 key steps. You might skip one or two based on the size of your company. Step #1: Why Do You Need a New Company Career Site? Step #2: Is Your Career Site for a Small or Large Enterprise? 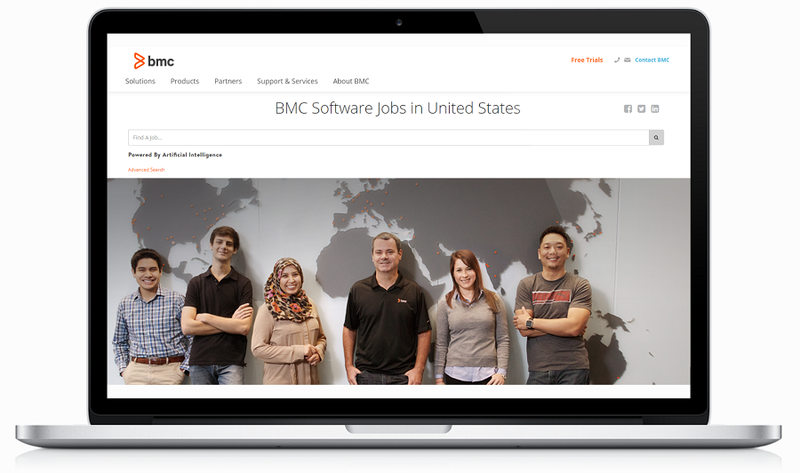 Step #3: Is Your Career Site Global? 1) Why Do You Need a New Company Career Site? Improve Employer Brand — Amplify Employer Value Proposition and align it with the corporate brand. Optimize Candidate Experience –Treat candidates more like customers with a user-friendly user interface (UI/UX). Free up time for recruiters! “Transformation” — A lot of employers come to me these days because they have a “transformation initiative” and that drives a new employment site. They are sometimes also moving to a new applicant tracking system (ATS) during this time. 2) Is Your New Career Site for a Small or Large Enterprise? As your company grows in size, your career site needs to get more complex. Internal Career Website — Deloitte, for example, is so large that they now have someone whose job it is to handle candidate experience for INTERNAL candidates (i.e. current employees). Some call this “internal mobility” this can achieve important goals like lowering cost of hire and turnover. 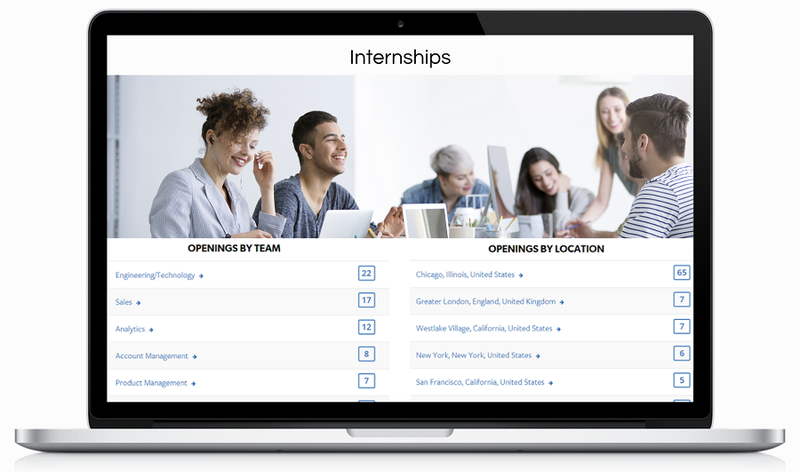 The best employers are making sure their new career site caters to both internal and external candidates. Multiple Brands — If you have multiple brands, you’ll need to decide if you have one central career site that allows a candidate to search jobs across all brands; or will you allow each brand to have its own career sites. Some companies do a hybrid. Mergers/Acquisitions & Spin-offs — Some large companies are buying, or merging with, other companies. Or they are spinning off business units. They crave continuity in the employer brand and candidate experience during such a transformation. This situation might also involve multiple ATS’s. 3) Is Your Career Site Global? Country Pages — They are sometimes decentralized with each regional entity defining their own recruitment budgets and strategies. They might need the ability to deploy subordinate sites for new regions (e.g. a different country page so that the business leaders in those countries feel empowered). Translation — Support translation into such languages as Spanish, French, German Portuguese, Simplified Chinese, Indonesian, Japanese; Polish, Portuguese, etc. Integration with Multiple ATS’s – Some global companies use different ATS’s in different regions. For example, one global bank reached out to me and needed to connect “12 to 14” ATS’s in one branded candidate experience. Regions with No ATS — Some global companies have a region that needs to post a job WITHOUT the aid of an ATS. Caption: United States country page. You’ll want to create a checklist of the core, must-have, features for your new career site. Some candidates prefer using a search box. Afterall, they’ve been trained on the Internet (by Google, Amazon, Netflix, etc.) search for the content. Ongig’s data shows that as much of 50% of candidates on career sites use a search box (versus clicking a function or location) to find their job. The candidate must be able to search by keywords and phrases. Most applicant tracking systems have limited job search functionality. They require an exact search (e.g. a candidate must search “Account Executive” (typically a sales job) to find the job entitled “Account Executive”. The best job search technology allows “intuitive searching”. For instance, the candidate can search “sales” and they will see the Account Executive job in the results if it is truly a sales job. Title Detection — It understands that if a candidate searching a hospital’s jobs searches “medical assistant”, then the results should show the “Medical Assistant jobs first before/instead of “Assistant” jobs with “medical” benefits. And a good company job search will NOT include false positives. This is very hard to do. For instance, as of the writing of this article (March 16, 2019), if you go to Salesforce.com’s career site and search “sales”, you will see 1,895 results because every one of Salesforce’s jobs includes the phrase “sales”. Google has the best job search technology I’ve seen. They sell the technology through partners (like Ongig). Some candidates prefer to browse (click links) than to search using a search box. If you have multiple brands, you might also want to add those as search filters. Some companies want profile matching too. For instance, if the candidate signs in with their social media profile (e.g. LinkedIn or Facebook), then the career site will automatically match them with jobs based on their CV/resume on those sites. Your new career site job postings are key. This is where the candidate makes their ultimate decision…to apply or not apply! 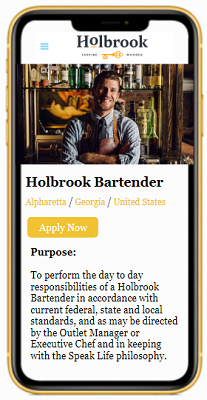 Room for recruiting widgets — Google Maps, LinkedIn Connectability, Glassdoor ratings and reviews, etc. Responsive design means that every page of your career site is readable on mobile devices. A system to ensure that search engines (Google, Bing, etc.) easily index your career site pages. That brings you free traffic from Google and the like. You’ll also want to schema tag your jobs so they will be picked up by Google For Jobs. The best company career sites have many moving parts. To control the moving parts of any web site requires some type of content management system (CMS). For the more technical folks, there is open-source code available. You might Google “PHP content management systems” to see some examples. The main drawback with using your a general CMS to build your career site is that it’s going to lack key career site-specific features. And depending on who built it (internally or an external agency), it might be very slow for you to make changes to it. For instance, the other day a $500 million company invited us to their Recruitment CMS Request for Proposal (RFP). The reason: they had their corporate web site built on WordPress but they could not figure out how to use it to add video to their Workday-based job pages. At this point, you’ll know what internal resources you have. The “buy” option is what’s called a recruitment content management system (CMS) or career site builder. Think of a recruitment CMS as a drag and drop career site builder. A Recruitment CMS Checklist for you the Employer! A Recruitment CMS Checklist on What the Candidate Should Get! Recruiting widgets such as maps, ratings and reviews and salaries (e.g. Glassdoor), LinkedIn connectability, etc. If you choose the path of a recruitment CMS, I’d be honored to talk to you about Ongig. Ongig’s Career Site Building Software takes care of all of the above. Best of luck in whatever path you choose!